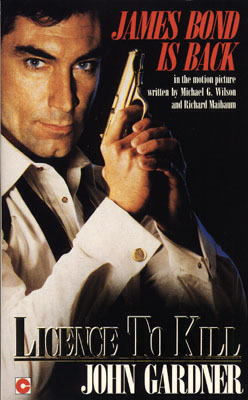 For some reason I've been feeling nostalgic for late '80s Timothy Dalton era James Bond lately, so I thought I'd scan and share this German edition of John Gardner's novelization of Licence To Kill (1989). This has always been one of my favorite paperbacks. Not only is it unique in that it's packed with color photos from the film, but this edition uses the final UK poster art on the cover. Most editions of LTK used the advanced poster art. But what I find especially appealing about this cover is they've replaced Bond's clothes. Instead of the all black belted thingy from the UK campaign (which was weird even by '80s standards), they've put him in a traditional tuxedo, but with the bow-tie undone. 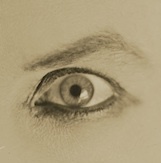 This was also used in the French campaign. 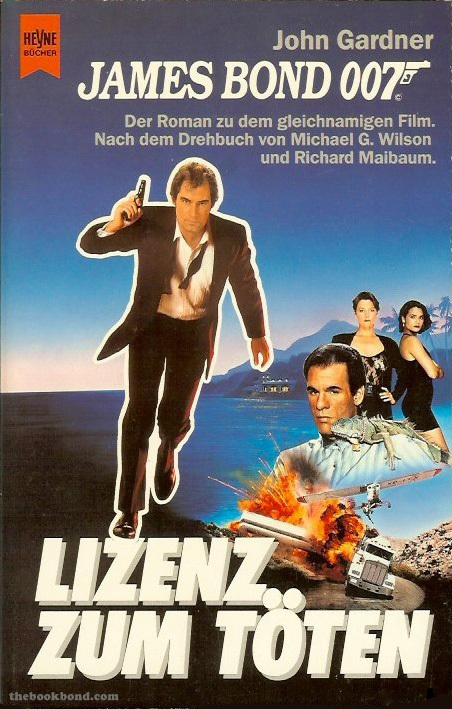 I remember thinking at the time that this was an excellent way to show Dalton as a more rough and ready 007, and I went out of my way to find any publicity material that used this version of the art, including this German novelization. 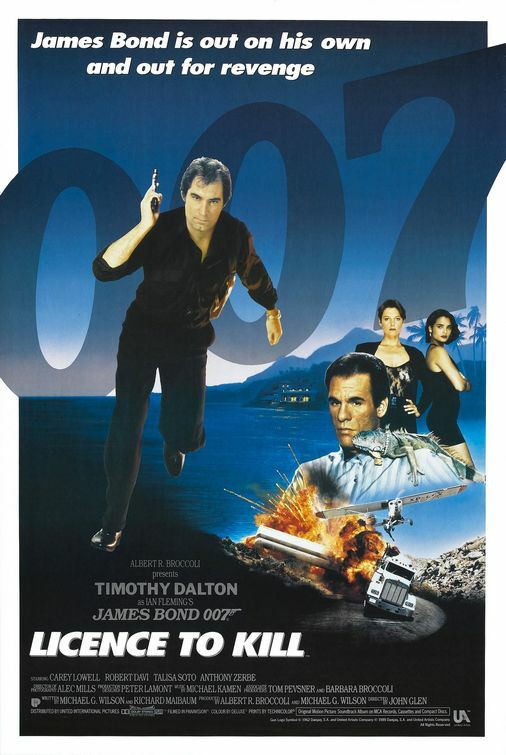 Of course, the concept of Bond with his bow-tie undone or no bow-tie at all would be used on posters for Die Another Day (2002), Casino Royale (2006), Quantum of Solace (2008), and Skyfall (2012), so this can be seen as yet another example of how Dalton's 007 was ahead of his time. I always thought the advanced poster image was far better to the final art which seemed rushed and slapped together (Skyfall suffered a similar problem!) but I agree with you, the tuxedo image does seem more symbolic of Bond breaking out of the mold. Interestingly, they've used exactly the same head on both UK and German posters, blended seemlessly with the new body - this was pre-Photoshop - and yet the digitally enhanced TWINE UK poster suggests Brosnan's face is growing out at a 45° angle to his head. LTK had a fairly uninspired ad design...but, with hindsight, less competent designs were still to come! This is one of my least favorite Bond posters, but you're right, John, that the versions using the undone bowtie are definitely better. I think Anonymous is right that the advance posters were better than the final ones (I do love the tagline "His bad side is a dangerous place to be! "), but what really vexes me about LTK is how great all the rejected poster art is compared to what was finally used! Maybe it's just because I think we've seen more unused campaign ideas from LTK than any other Bond movie (mostly thanks to Thomas Nixdorf), but there were some really, really great ideas for Licence Revoked. 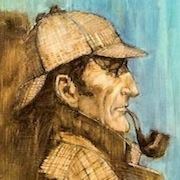 That great Bob Peak art is of course fantastic, but even the neon-flavored LR photographic posters were far more compelling than the final LTK photographic stuff. Sorry, I got off topic. But to the point, thanks for sharing another rare foreign Gardner cover, John! It's very cool to see, no matter how I feel about the campaign itself!